It’s the big game this weekend! Whether you’re going for the Patriots, Giants, or the commercials in between — there are endless ideas to jazz up your Super Bowl Party. How about football bingo? Make bingo cards with fun phrases like Touchdown!, Interception, and even different products or companies that are sure to have a commercial during the game — as each thing happens, mark them off. First one with bingo wins a prize! Make football whoopie pies! 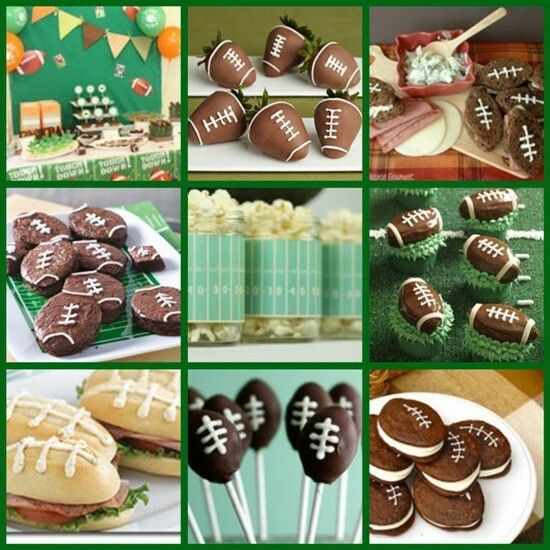 These tasty treats are sure to be a new gameday fav. Don’t care for either team? Decorate with field goals, football fields, and pennants. Sometimes even the little touches go a long way. What are you doing this Super Bowl Sunday? Tell us your plans! Potluck with friends. You KNOW I’ll be bringing cheese!!! !